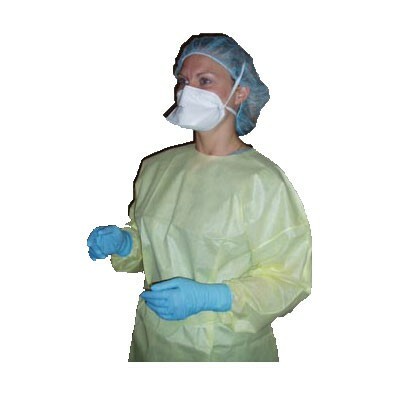 Amd-Ritmed Isolation Gowns 8023 & A69975 are for procedures requiring protection from spray and splatter, fluid-repellent design provides added protection against cross contamination. Offering best-in-class infection control compliance as part of the most versatile line of protective apparel available, the Amd-Ritmed Isolation Gowns with Flexneck Technology answers the need for quick and easy donning and removal while maintaining exceptional protection and comfort. Flexneck is the most flexible closure available on the market today and allows healthcare professional to don protective apparel with a quick, expansive overthe-head motion without compromising safety or protection that comes from untied, gaping gowns that can slip and expose. For more information on Halyard’s Isolation Gowns 8023 & A69975, please visit www.amdritmed.com. A Health Care company headquartered in Lachine with operations in Canada, the U.S., and China, the DNA of Amd-Ritmed is built upon the values of the founder and is based on persistence, honesty, trust and transparency. Amd-Ritmed Inc is a proud partner of Medicom Group and Pharmascience Group and was founded by Ian levine, Ronald Reuben, and Morris Goodman. Begnning as a manufacturer of specialty surgical dressings in the United States, the founding partners were driven to become a leader in the industry by providing superior customer experiences and quality products. 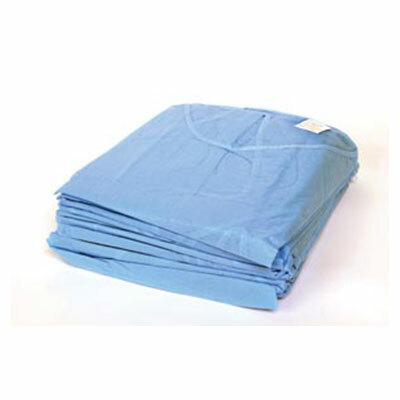 Polyethylene apron measures at 28" x 46"